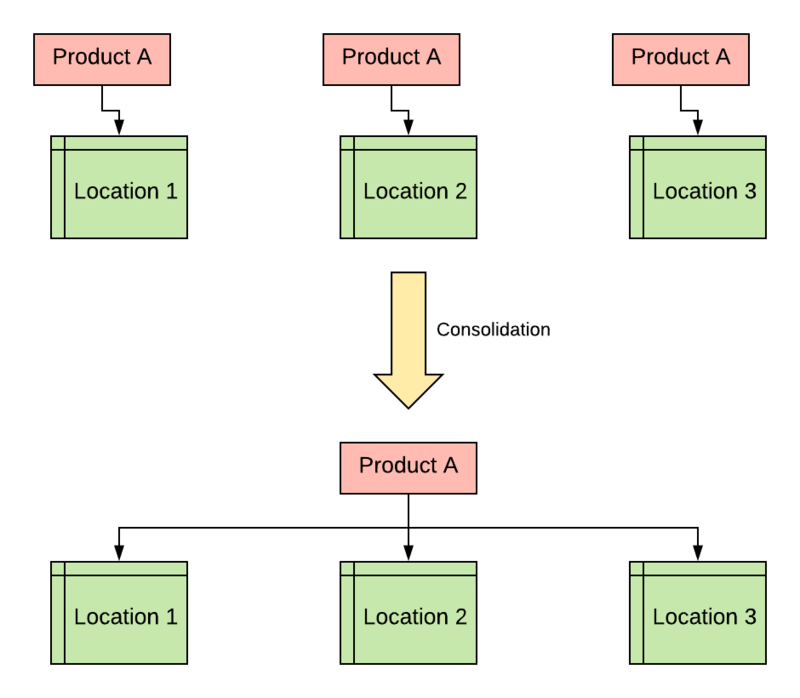 This is the process of taking products with the same name that exist at multiple locations as different products, then combining them into one product at multiple locations. Generally, when you are using multiple integrations in Shopventory, you may have created your item catalog separately on each merchant account (Clover, Square, etc.). It is often easier to manage products with the same name or the same variants together. Consolidation may also be necessary to avoid "duplicate SKU" errors. This is usually when it is advisable to consolidate your items. It will make your life a lot easier! How are products matched across locations? When you have products with the same name and categories, they will be matched by our consolidation system. How are variants matched across locations? Once your products are matched, Shopventory will also try to match the variants within those items. If all of these properties match, they will be merged and treated as the same variant. What happens if not every property matches? 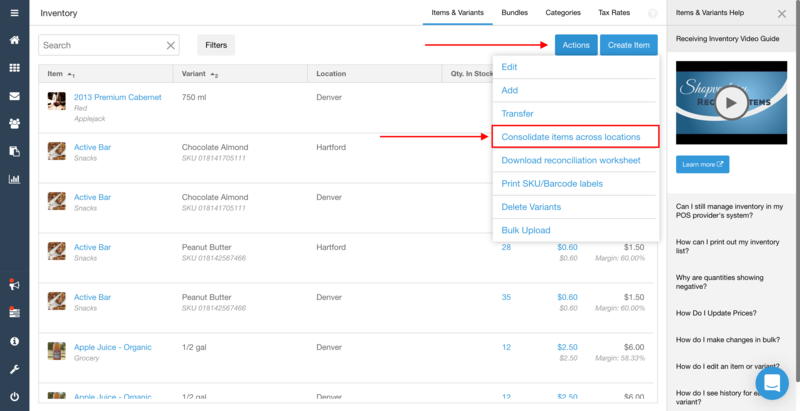 If you select a product to consolidate but one or more variants of each item is different, Shopventory will merge these variants into a common product. After your products are consolidated, you can use Shopventory to easily manage your product and all its variants across your locations on the same screen. Simply follow the steps to complete the consolidation process!